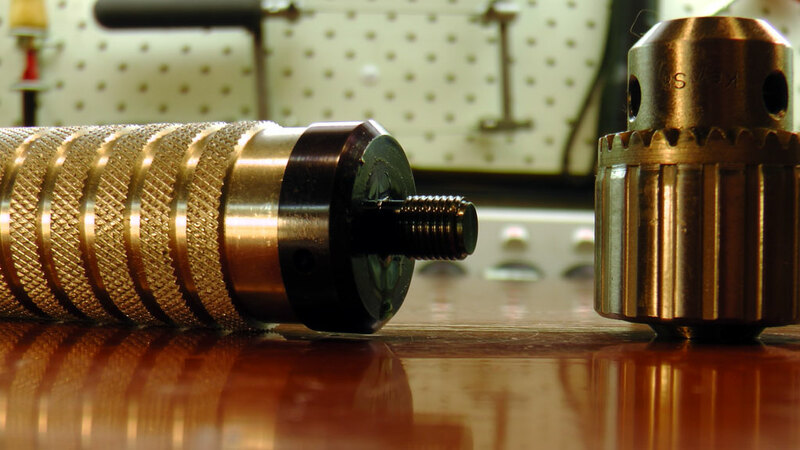 This is something I made a few weeks after starting up my home shop, and as a knurling practice piece. 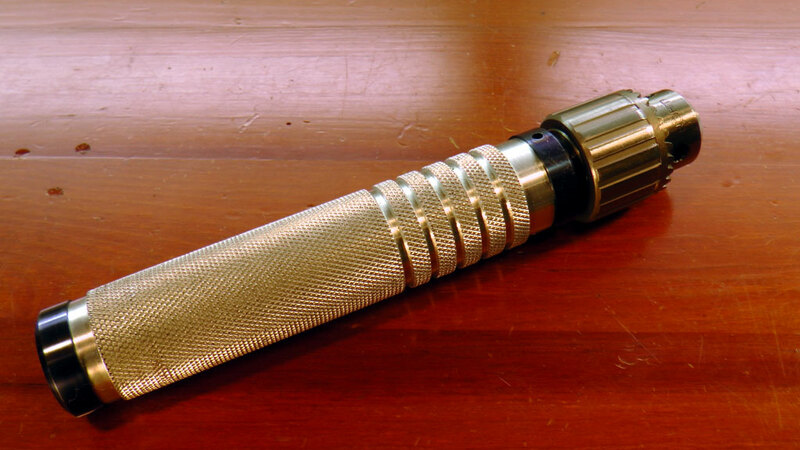 Rather Light Sabre-ish isn't it! It has turned out to be very useful, particularly for holding the larger clockmakers broaches to broach clock pillar and pivot holes. 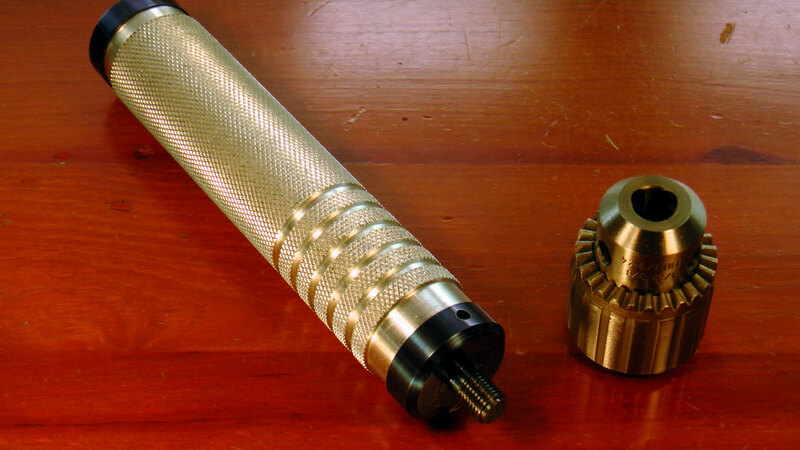 In fact its surprising how often you need to hold a cutting tool like a reamer or drill by hand. When you do, this is the tool you need. 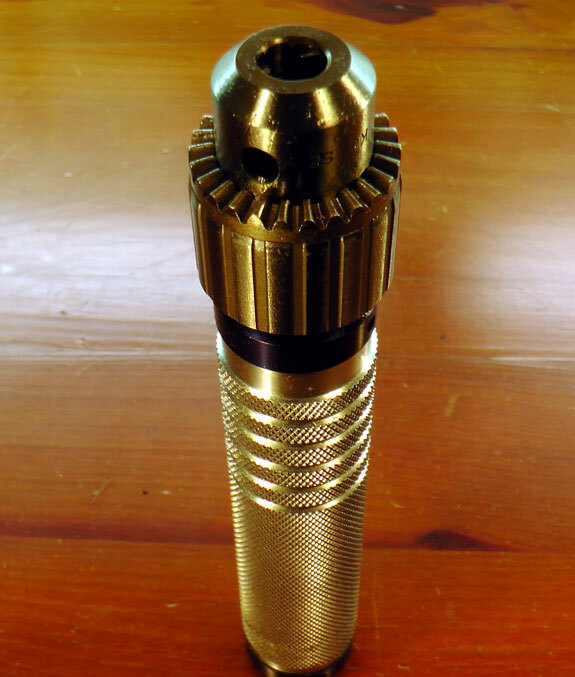 It has a threaded stud at the top that fits the Sherline drill chucks. It is pictured with the 3/8", but will accept all 3 sizes. I tend to leave the 3/8" on on there permanently, as it is a good all round size. 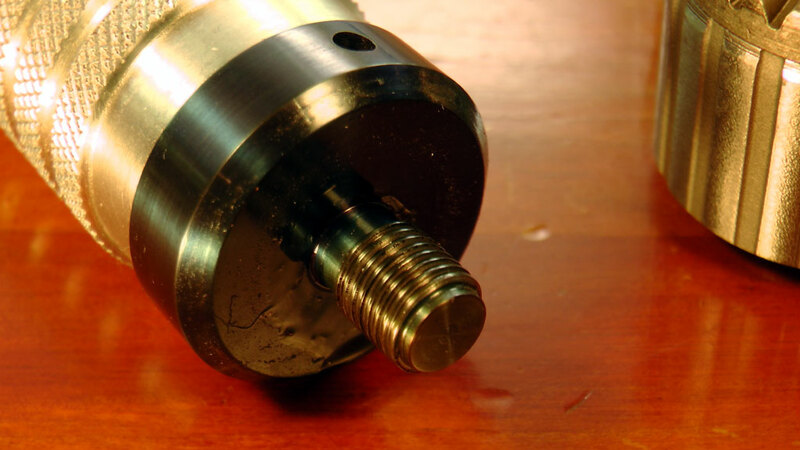 The other end has a center drill hole, so that the tool can be aligned with a tailstock center whilst hand reaming a hole on the lathe. Both ends were hardened, polished and then blued. Despite being made from aluminum, the tool has a substantial weight to it; about a kilo. This can be very handy for some tapping or reaming operations, when you need a little bit of natural down force to get the job done. On those occasions when the weight is a hindrance, I have a store bought version made of wood that does the trick. 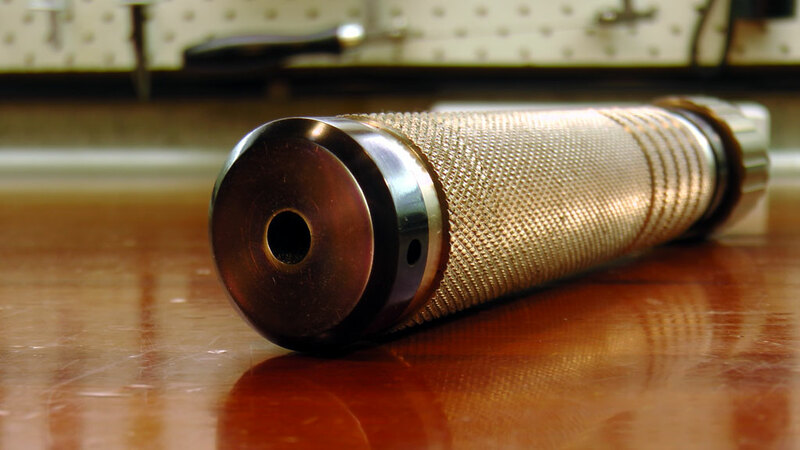 The knurling on the handle is not my finest hour... I lost the plot a bit towards the end. But hey it does the job and feels good in the hand.